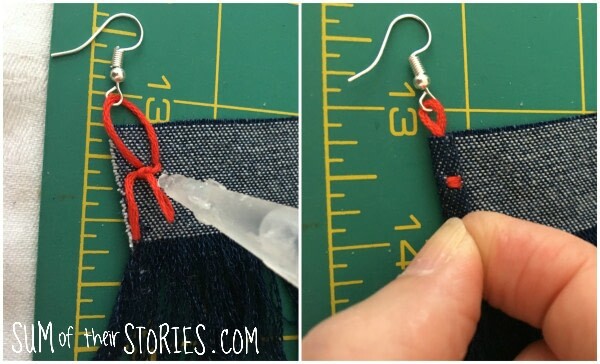 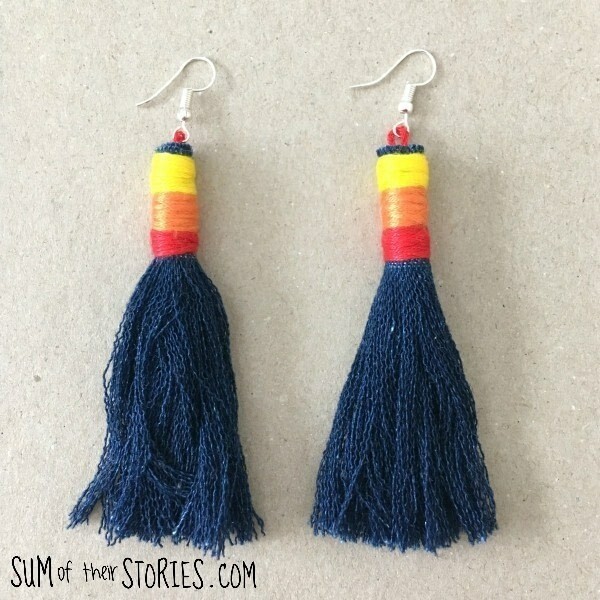 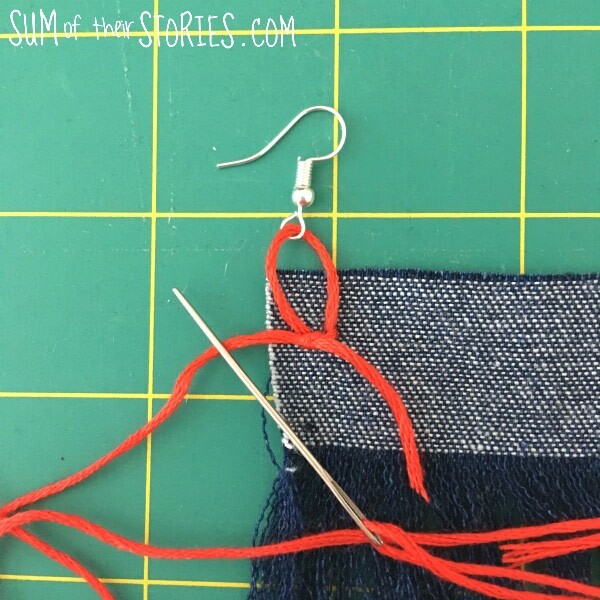 It's easy to make your own tassel earrings with little bits of denim. They are super light to wear too which is a bonus and you can wrap the tops in any colours of embroidery thread you like. 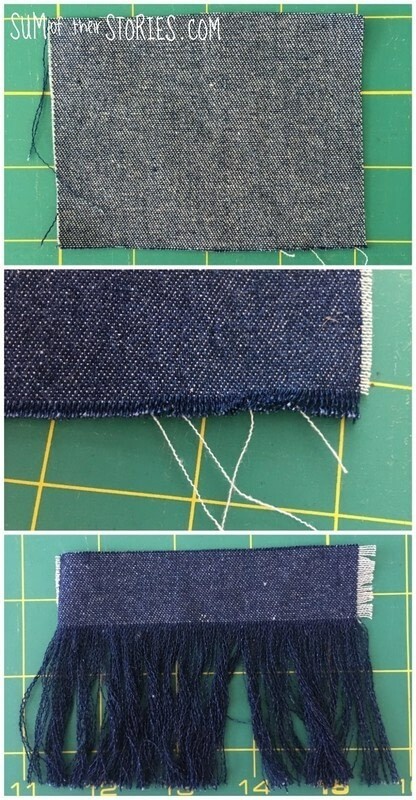 Take a rectangle of denim and remove the white threads leaving 1 inch of fabric at the top. 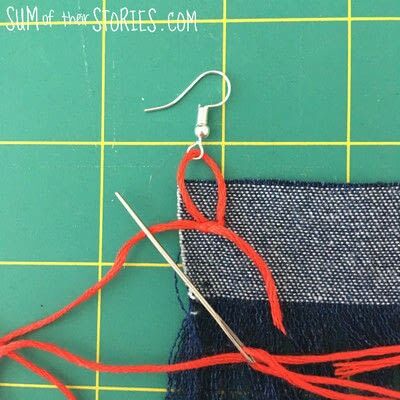 Attach the earring wires to floss and then stitch it to one end of the fabric. Add a drop of strong glue and the roll up the fabric to form a tassel. Wrap the fabric end in more embroidery floss. Use one colour or several, whatever takes your fancy. 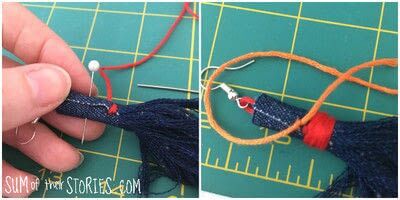 Knot the ends and then thread them into the wrapped bit to make the ends disappear.